Download the 2018/2019 Registration form by clicking here. To register online, simply fill out our online registration form – once completed you can come back to this page and pay registration fees online. 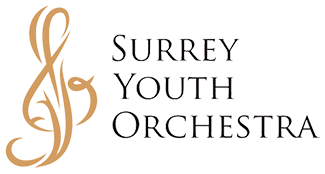 Total Fees for Youth Orchestra 2018/19 are $695.00 (includes Society membership). Total Fees for Intermediate Orchestra 2018/19 are $595.00 (includes Society membership). Total Fees for Winds Ensemble 2018/19 are $445.00 (includes Society membership). Total Fees for Intermezzo Junior Orchestra 2018/19 are $445.00 (includes Society membership). Total Fees for Prelude Junior Orchestra 2018/19 are $295.00 (includes Society membership). * Installment plans are available, more information is provided below. * The $15.00 membership fee is waived for additional children registered. 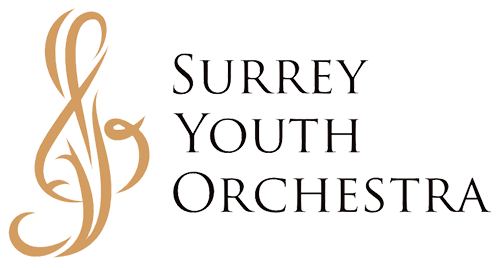 Cheques made payable to Surrey Symphony Society. If you wish to pay in full by credit card, there is a 3% surcharge on the total fees. Scroll down to online payment section below for various online payment options. If you are paying IN FULL and would like to pay online, you may do so below. Please note that there is a 3% surcharge if paying by credit card, please select the option that indicates (pay by credit card). If you are paying by installments and would like to pay your 1st installment online, you may do so below. Please note that there is a 3% surcharge if paying by credit card, please select the option that indicates (pay by credit card).